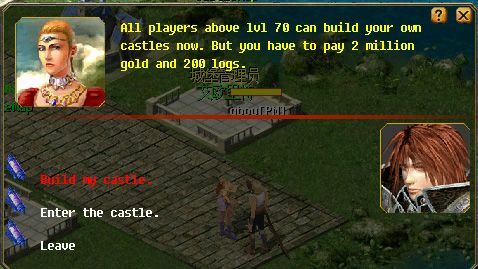 Level 70+ players can purchase a castle map. 1. 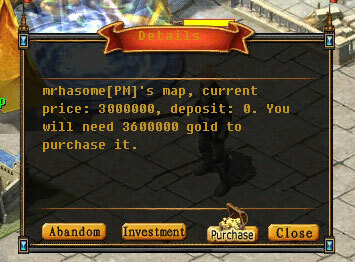 In the market (293, 447), you will see the Double-Dragon Portal which is the entrance to the Life Area. 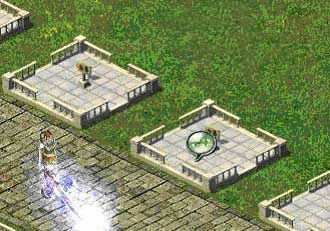 At either side of the Double-Dragon Portal are two castle maps (Cost: 3,000,000 gold or 42 EPs each). 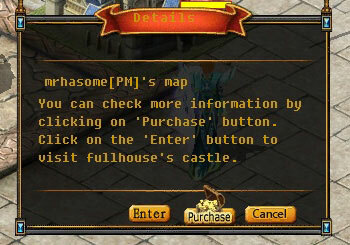 If you pass through the portal you will find additional, less expensive castle maps. 2. 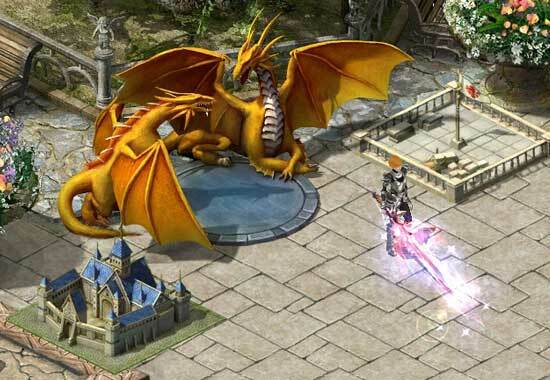 After passing through the Double-Dragon Portal you will find 30 additional maps to choose from. 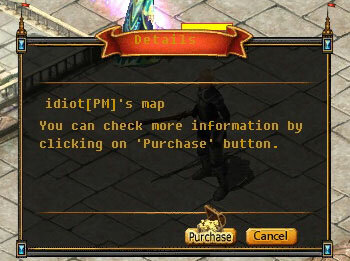 Clicking one will allow you to view the purchasing window. 3. 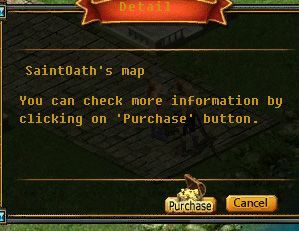 Clicking 'Purchase' will allow you to check the map's price. 4. 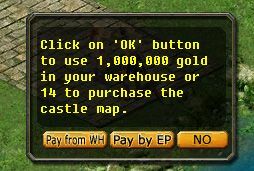 Clicking 'Purchase' again allows you to purchase a map with either gold or EPs. 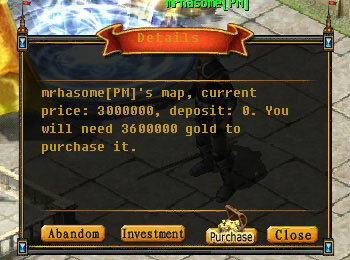 Maps cost 1,000,000 in gold or 14 EPs if it is not owned. 1. Enter the 'Life Area' through the Double-Dragon Portal in the market (293,447). 2. Talk to the Castle manager. 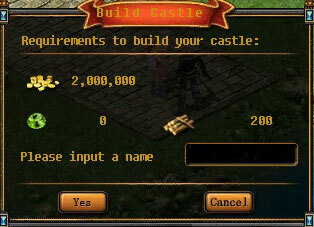 Name your castle and then click the 'OK' button. 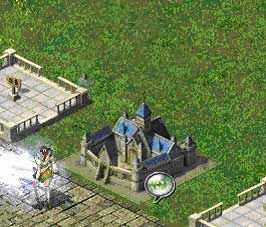 Next, find your castle and click 'Enter'. 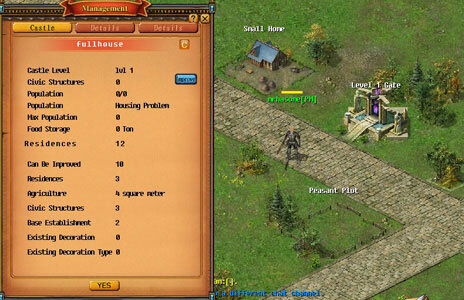 Click the 'Castle' button in the upper left hand corner, the castle management window will pop up allowing you to build your castle as you wish. 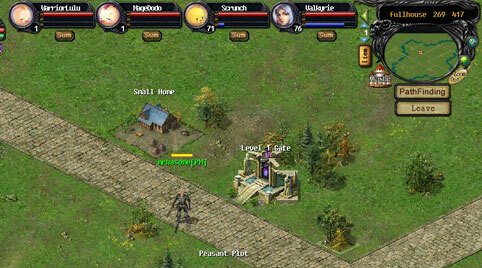 A player can purchase another players' castle map and the original owner will be rewarded. 1. 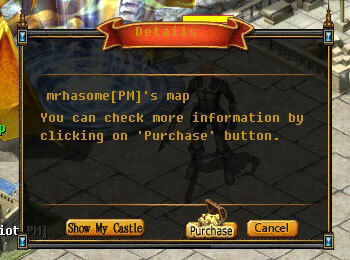 Click 'Purchase' on a castle of your choosing. 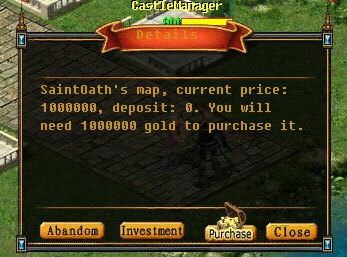 Next, the details of the castle will appear, including the current map's owner, the price and the required 'Deposit'. 2. 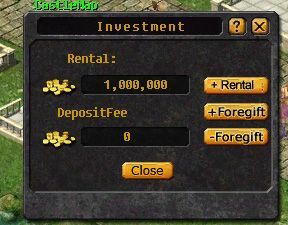 Clicking 'Investment' will allow you to set the deposit. The higher your deposit the higher the cost of the castle and the fewer people who are able to afford your castle. 3. 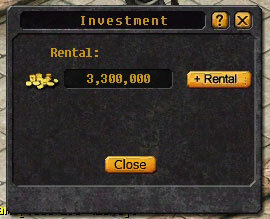 If your castle is bought, your original investment will be returned with interest. Click 'Benefit' to get your original investment plus interest. benefits.